For the last 30 years ROE Outfitters has grown its “Real Oregon Experience” guide business in the Klamath Basin, where natural beauty and year-round outdoor recreational opportunities abound. Darren and Jenifer Roe, along with their well trained team of ten, offer guided adventures such as fly fishing, sport fishing, rafting, kayaking, paddle boarding, bird hunting, and bird watching all over Southern Oregon. 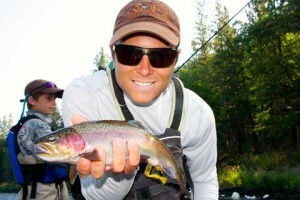 They also lead fishing and hiking tours at world-famous Crater Lake National Park. “Our focus is to help people make meaningful connections. Not just with the beauty of the area, but with each other because they’ll always have unforgettable shared memories,” explained Jen. ROE attracts an array of clientele to the Klamath Basin, including families with school-aged children ready to experience their first outdoor adventure, as well as celebrities, professional athletes and high profile business people who need a complete change of pace. They’ve even accommodated guests who travel with their own private security teams. Klamath County is indeed a great place to go if you want to get away from the paparazzi. They recently expanded their business by building Crater Lake Zipline in the Winema-Fremont National Forest, Oregon’s longest zipline. 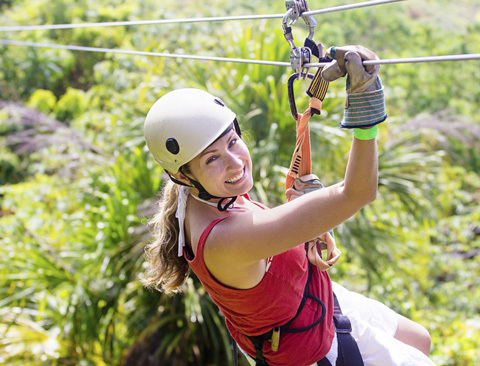 The adventure is a three-hour, tree-canopy tour that includes nine zips, two sky bridges and two rappels. Upon its opening in 2015, the zipline created 15 jobs with the potential for as many as 27 as the adventure challenge course continues to attract new visitors. Inspired by their own zipline experience when on vacation in Belize, Darren and Jenifer’s vision for a local zipline became a reality through careful planning, amazing engineering, heavy doses of hard work and determination, and the cooperation and support of the local business community, county government and the U.S. Forest Service. In fact, it is the only tree-canopy zipline built entirely on U.S. Forest Service land.